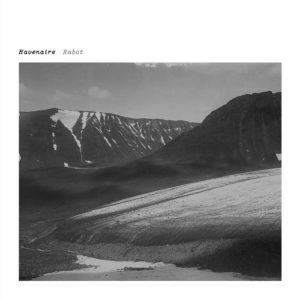 Inspired by old photos taken 1910 by Fredrik Enquist (1885-1963), a Swedish geographer, the theme of the new Havenaire album Rabot for the Italian label Glacial Movements came to form. Layer upon layer building up walls of sound pushing its way slowly through out the albums six songs. Ambience treated with a pop sensibility, massive sound that sometimes climaxes in chorus-like parts, with distant piano notes echoing in the background. While other times the music falls apart and only leaves traces of its previous monumental washing sounds. Pictured on the album cover is the majestic Rabots Glaciär, a gently sloping glacier mirroring the smooth subglacial valley floor. It’s situated on the western side of the Kebnekaise massif far up north in Sweden. Tremolo on some end of the year lists. Havenaire interview and video premiere of the remaining songs from Tremolo over at Sounds of a Tired City.